Not only is it utterly bizarre, but it is also culturally abominable for any person under Chief Zimunya to build a grave in preparation for their burial when they pass on. 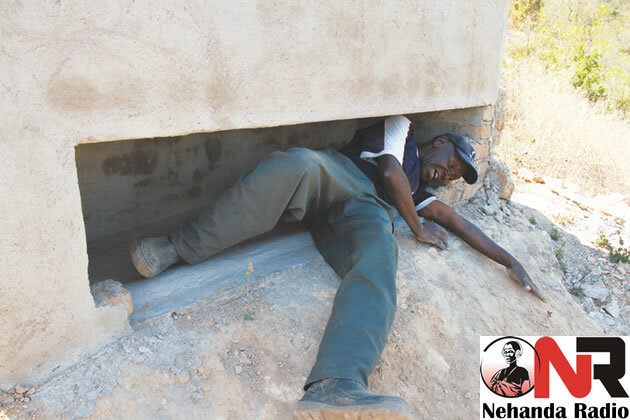 Such actions do not go unpunished, and 65-year-old Clever Mureyani of Buwerimwe Village in Chief Zimunya's area in Mutare, who chose to break with tradition learnt the hard way after being ordered to pay three cattle as penalty for constructing a grave in which he wants to be interred in on his death. The grave is situated in a vegetable garden adjacent to his homestead. The grave is six feet deep, perfectly plastered with cement and Mureyani fits in well. It also has a pillow on the upper end. Mureyani threatened to commit suicide on Sunday after Chief Zimunya ordered him to pay three bovines and to demolish the grave. Mureyani was furious at the traditional court's verdict, describing it as "harsh and inconsiderate" before threatening to take his own life. His threats, however, fell on deaf ears as the traditionalist told him to 'go hang'. Chief Zimunya said Mureyani's actions were detestable and can bring misfortune to his land if corrective measures are not taken. He went on to describe Mureyani as a "disgrace" who deserves no mercy. "Hatisi kuda kuriona muno. Ndiko kushereketa ka uku. It's unacceptable in this land, your actions have angered our ancestors and you deserve no mercy. You can do that anywhere, but not in my land. It's not only a taboo, but an abominable act. It's unheard of," said Chief Zimunya, scratiching his bald head as to what had crept into Mureyani's mind to do such a strange thing. "We haven't heard of such a thing in this land of vaJindwi. 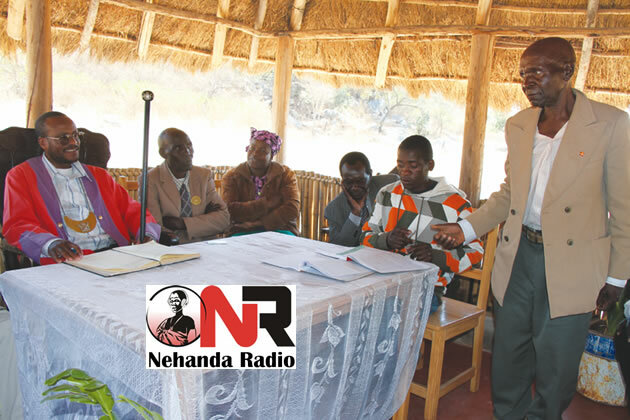 Go and destroy that grave now," said Chief Zimunya. The court's verdict did not go down well with Mureyani, who attended the hearing in the company of his two sons. Mureyani said there was nothing amiss with his actions as he was preparing for his own departure. "Lots of problems have befallen my family and I have been troubled a lot to the point that I have come to realize that I can die anytime. Kaupenyu kangu kakati womei, ndafunga kuzvigadzirira turo twangu. I see no reason why you should penalise me over the grave since it is in my own garden. I do not see how it disturbs anyone's peace. "If graves at the National Heroes' Acre are prepared in advance, I do not see why I should be dissuaded from doing that.. I will kill myself if you destroy it. I better follow my ancestors than to live a miserable life. You cannot order me to pay those beasts for nothing, it's unfair," said the emotionally charged Mureyani. He said various people have been blaming him for causing strange and incessant illnesses among his siblings. "A family member hid a red cloth behind my cattle kraal and since then that member and other have been bedridden. I am not sure what this means and I no longer feel safe," he said. Chief Zimunya refused to budge to Mureyani's suicide threats. "You can go hang. What you have done is abominable enough. Une chinokudaro. We suspect something sinister about your actions; this could be associated with witchcraft." 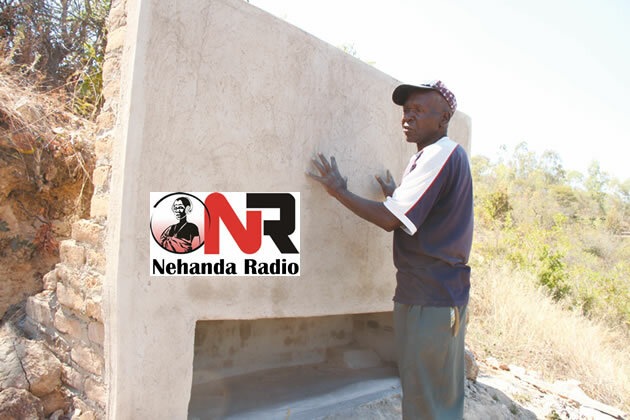 One of Mureyani's sons, asked by Chief Zimunya if he believed his father had ulterior motives in constructing the grave: "He is my father and I am obliged to respect all his decisions and wishes. We do not know if it is good or bad. He has his own reasons better known to himself." Mureyani vehemently disputed the witchcraft allegations. He also denied being ritualistic. "How can you link this to witchcraft? I intend to paint and inscribe the grave –'Canaan, land of milk and honey". I am not a witch, handina kuromba" he said as he jumped in to sleep in the grave. Mureyani has since left his homestead to stay in the garden.